coil. 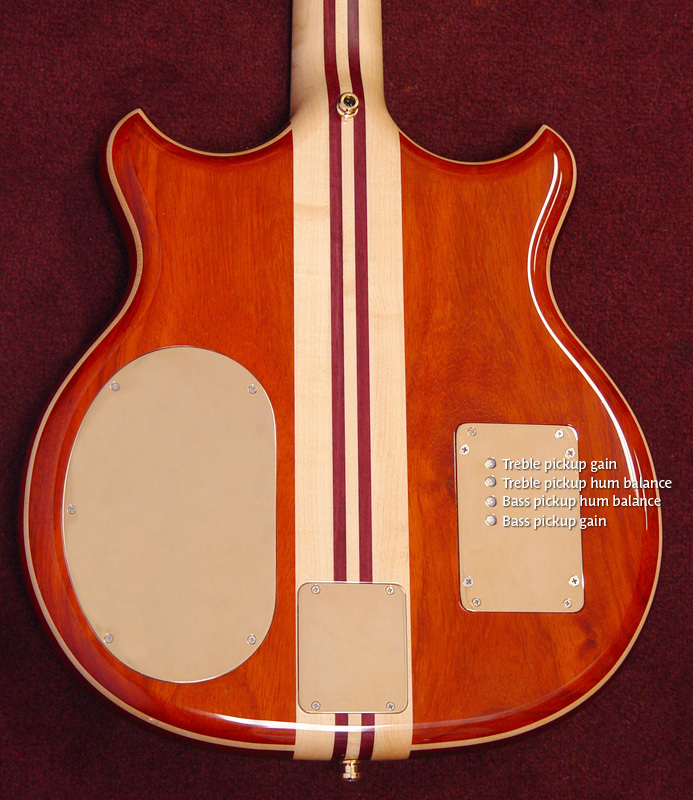 They employ an electronics humcancelling circuit to reduce the hum inherent with single coil pickups. 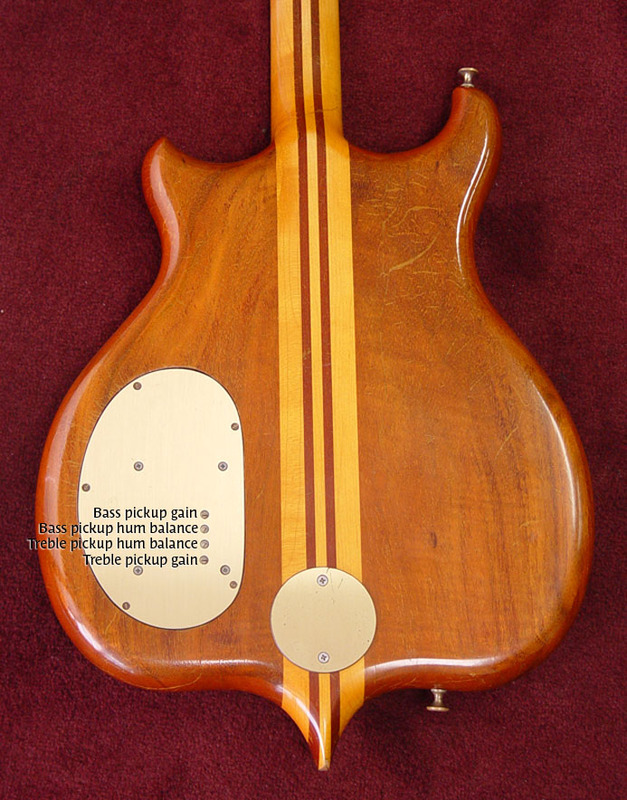 You will evaluate the hum of each pickup independently, so this test procedure should first be done with the pickup selector switch on one pickup only, then test the other pickup only. The procedure won?t work if you listen to the pickups at the same time. The humcancelling trimpots are the center two trimpots accessible through the backplate of the instrument. First, determine which humcancelling trimpot controls the pickup you?ve started with. With one pickup selected, move one humcancelling control back and forth. If you hear no affect, then use the other humcancelling trimmer for the first calibration. 2] Rotate the entire guitar in space to the position where the hum is the loudest. 3] Now adjust the trimpot through the entire clockwise rotation to hear how the hum passes through a null and then gets louder again. You?ll probably find a position that is near the center or slightly clockwise of center that nulls the hum for most situations. 4] Repeat this procedure for the other pickup. Persistent high frequency noise or a directional noise requires the electronics get upgraded to current specs.